At least 104 Indian pilgrims of Kailash Mansarovar Yatra on Tuesday were evacuated to Simikot from Hilsa in Nepal. 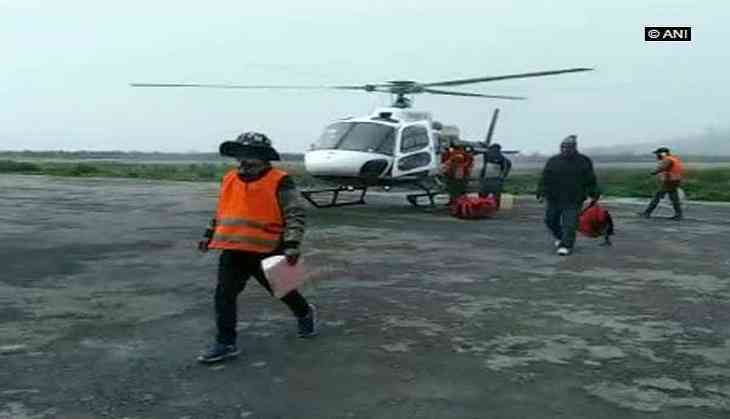 "We are trying to bring those who are stranded in Hilsa which is at height of 3,600 m. There are 11 helicopters of the Nepal government which are operational. There are private helicopters too," Nepal's acting ambassador to India BK Regmi said. One of the pilgrims from Andhra Pradesh's East Godavari, Granthi Subbarao, passed away in Nepal's Hilsa. His body is being brought to Nepalgunj, where the postmortem will be conducted before bringing his body back to his hometown in Andhra Pradesh. Earlier in the day, the Indian Embassy in Nepal issued a list of hotline numbers for the pilgrims stranded in Nepal and their family members. A number of Kailash Mansarovar Yatra pilgrims are stranded in parts of Nepal following heavy downpour. Thousands of Indian pilgrims take part in the Kailash Mansarovar Yatra every year via Nepal in the Tibetan Autonomous Region of China ahead of the monsoon season.